Our team proudly develops and supports the leading 'customer oriented' retail system in the New Zealand market since 1990; RETAIL-PLUS. With over 150 installations from the top of the North to the bottom of the South, RETAIL-PLUS is being constantly enhanced to provide ongoing value and competitive advantage. The RETAIL-PLUS solution integrates point of sale, customer marketing, web sales, business intelligence, service jobs, serialised inventory control, customer finance and multi-branch retail management into a comprehensive retail management solution. RETAIL-PLUS is provided for a small monthly license fee removing the need for an up-front software investment. A typical 4 user license would cost around $6 per day! RETAIL-PLUS is a specialised retail management solution that is highly optimised to meet the needs of appliance, furniture and multi-branch retailers. As the leading solution for independent appliance retailers since 1990 RETAIL-PLUS has proved itself with both large and small retailers. This has been highlighted during the recent GLOBAL FINANCAL CRISIS during which RETAIL-PLUS users have grown their market share in the comparison to stores running competing systems. 20 years of specialised development provides RETAIL-PLUS users with a level of functionality, efficiency and control that exceeds that of most corporate retailers using off the shelf software. By sharing the development and support costs over a group of users, the average daily cost per site is minimised while still yielding significant efficiency and control benefits. With RETAIL-PLUS you are free to focus on your business because we provide 24/7 IT support and actively monitor your business as if we were your 'corporate IT' team. How Does RETAIL-PLUS Compare With Non Specialised Solutions? In Formula One motor racing, a team's success is dependent on the combined expertise and experience of its drivers, development and support teams. Their investment in specialised development and their ability to work in partnership to maximise performance is critical to their success. If you compare a formula one car with an 'off the shelf' street car the differences are obvious but in the world of software most packages claim the same basic features; the differences we offer are hidden in the fine detail that has been optimised to suit specialised business needs. The differences between RETAIL-PLUS and off the shelf retail accounting packages are many and detailed and the best way to assess the difference that it makes is to compare a RETAIL-PLUS site's level of inventory control, customer service, staffing levels and profitability with its competitors. Our flagship product RETAIL-PLUS provides significant competitive advantage for appliance, sports goods and furniture retailers who all run the same version of the software with many options controlling specialised features. 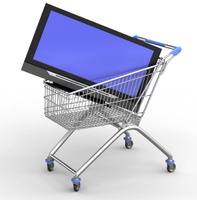 RETAIL-PLUS clients can request custom software developments to meet their specialist needs. The software is constantly maintained and enhanced to benefit all users. A small two screen cloud based point of sale in rural Wanaka shares the same sophisticated software and technology as a nationwide multistore retail chain. What Are Some Key Differences ? RETAIL-PLUS was built from scratch to control high value inventory such as TV's and furniture down to an individual item level. This extra dimension of control allows you to track every movement of every individual item. Prior to sale individual items can be held or allocated on a pending sale or supplier return and once sold it's delivery status can be tracked through to customer receipt. Twenty years of software development focused on reducing inventory losses has resulted in a level of control that can save tens of thousands of dollars a year in stock losses, save staff time and increase customer service. A key to the success of RETAIL-PLUS has been our philosophy of 'shared development and support' for a group of customers. This allows us to share not only development cost but also installation and support costs to the benefit of all users. Typically we will quote a fixed price for installations and a monthly support cost that covers unlimited RETAIL-PLUS support. This encourages customers to constantly work with us to optimise their efficiency and control providing them with a competitive advantage that in the long term benefits us through customer growth. RETAIL-PLUS is the choice for professional salespeople, providing them with the tools that they need to manage the customer sales process from quotation through to delivery and post sale follow up. Salespeople are provided with accurate negotiation tools making them accountable for achieving percentage and gross profit margin targets. RETAIL-PLUS allows you to manage customer inventory after invoices are created. Many losses in the furniture and appliance industry can be attributed to loss of control after the item is sold. Each line on a customer invoice can be managed from the customer order through to automated matching with incoming stock, sold label printing, delivery management and customer-sold-item stock taking. With serialised inventory there is no way that an item can be delivered or collected twice and every time an item is moved the stock is being checked. Management can control staff access to functionality down to an individual branch level. Depending on the staff level inventory costs can be hidden or standard cost can be viewable for negotiating deals and the actual costs hidden. Commission can be paid on either the standard or the actual cost margin. One of the key comments we hear from clients who have changed to RETAIL-PLUS from other systems is that our reporting systems provide incredibly accurate margin and profitability reporting, and that for the first time they can TRUST the profit figures that their system is giving them. RETAIL-PLUS provides live Excel pivot table reporting and daily integration with business intelligence software packages such as IBM's leading Powerplay reporting systems. Reports can be automated to run and email on a daily, any day of the week, weekly or monthly basis. 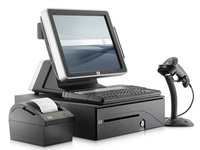 RETAIL-PLUS automates as many functions as possible to save time and maximise reliability. There is no need for staff to stay late on the last day of the month for example as the system will automatically roll the debtors, print and email customer statements, run reports to the disk for later viewing, email sales and exception reports to management, create reconciled general ledger integration files and carry out automated checks. All RETAIL-PLUS systems are monitored live by Excellent Software allowing us to take action before your business is interrupted. Printing is another example of RETAIL-PLUS automation. RETAIL-PLUS automatically knows where and when each transaction type should print invoices, sold labels, stock labels, delivery dockets and reports. RETAIL-PLUS will also automatically email invoices and statements to customers who no not need printouts. Call us now for un-biased pre-sales business consulting. 20+ years ago we established that the best salesperson for our business was a happy customer gaining significant cost benefits from our IT solutions and partnership. As a result it’s not in our interest to take on clients unless we can see that the future partnership will be beneficial to both parties over the long term. Although our greatest competitive advantage lies in the area of multi-branch appliance and furniture retail systems we have been able to help customers outside this market who have specialised needs. A ten minute call should be all that it takes to identify the level of competitive advantage and cost benefits that we could provide to your business. If we can’t meet your needs, then we can at least help you to identify key factors to consider when choosing an IT partner.